Island hopping from Skiathos is the ideal way to explore more of the Sporades complex in one holiday. Skiathos is situated really close to both Skopelos and Alonissos islands, functioning as a great base for your vacations. Discover crystalline waters, emerald seas and stunning landscapes, as well as impressive little villages by island hopping from Skiathos to the beautiful neighbouring islands. Ferries and tour boats to these islands depart daily from the port of Skiathos Town, where you can find lovely apartments to stay, and can take you to unspoiled and authentic natural treasures. 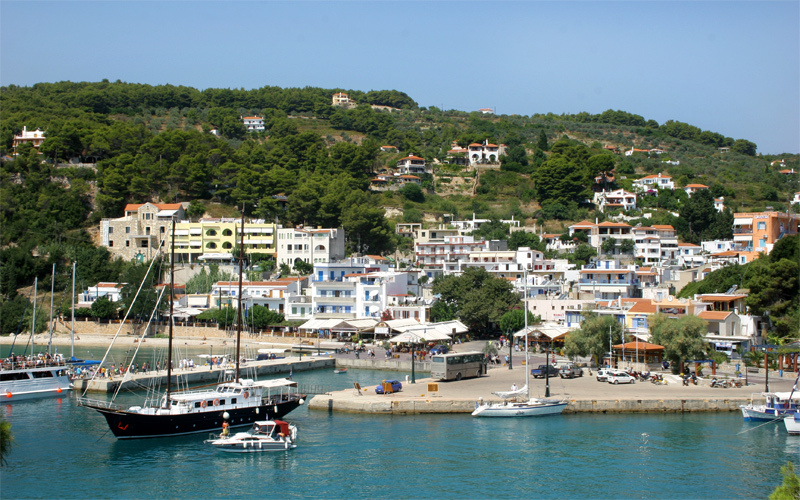 Board a yacht or take a boat tour from the scenic Skiathos port and visit the amazing Skopelos. Covered in untouched pine tree forests and surrounded by transparent turquoise sea, Skopelos is a fantastic island for relaxing and recreation. It was made famous after some scenes for the renowned Hollywood film Mamma Mia were shot there. Walk around the trekking paths of the island, which lead to exotic sceneries, old chapels and tiny cottages. Visitors may also enjoy a sunny day in its stunning organized sandy or pebbled beaches, such as Panormos bay, or have a private swim in a secluded shore, like Elias beach. In Skopelos worth visiting are also the main villages, Skopelos Town and Glossa, constructed on the top of mountain hills, offering excellent sea and sunset views. Skopelos Town is famous for its welcoming atmosphere and the beautiful Venetian style of its buildings and cobbled streets. 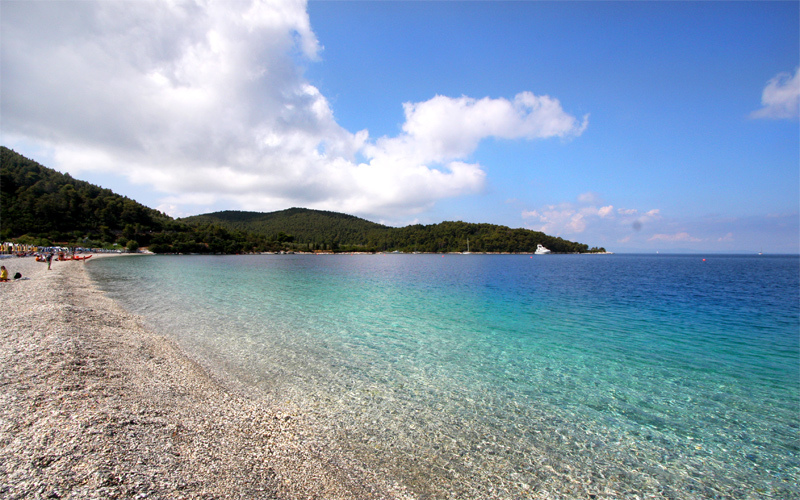 Another wonderful destination for island hopping from Skiathos is the smallest island of the Sporades, Alonissos. This is the perfect place to unwind in an unspoiled and verdant environment, not affected by mass tourism. Alonissos is famous for its marvellous secluded beaches, which offer total privacy and crystal clear waters, and its National Maritime Park, home to many sea species, including the Mediterranean monk seal Monachus Monachus. There are excursion boats from Skiathos that also visit the maritime park. Apart from the beaches, visit the villages of Alonissos, the old capital Chora and the new capital town and port, Patitiri. There are many tourist amenities, accommodation options and cafes or bars for a relaxing evening drink. The island has also many sights to visit, such as monasteries and old churches.